In 1921 a group from the old Philadelphia Conference of The Methodist Episcopal Church saw that a large number of Protestants, especially Methodists, were living in Springfield. 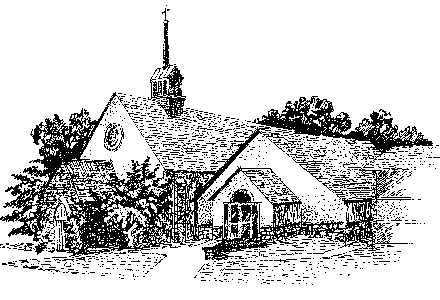 A lay minister was sent, and services began on February 19, 1922, at the Old Central School on Saxer Avenue. This “Community Church of Springfield” moved to its present location in 1924. In 1953 a much larger church building was erected. At that same time the old Covenant Methodist Church at 18thand Spruce in Philadelphia was closing. Funds from that sale were available to a church that would carry on the name "Covenant." Over the next 15 years our membership and programs grew, requiring expansion of the physical plant. "Epworth," a classroom building, and "Kingswood," an activity center with fellowship hall, music room, meeting and multipurpose rooms were added to the campus in the 1950s and 1960s. A memorial wall and garden were placed in the courtyard between the buildings in 1994. In 1956 the Covenant Nursery School was founded, and has served thousands of families in the years since then by providing affordable, quality education that prepares children for a lifetime of learning. In 1979, a 39-rank Schantz pipe organ was installed. A five-octave set of Schulmerich handbells complements the organ and choirs in providing the wonderful music that has greatly enriched our worship services over the years. The most recent addition to our campus, erected in 2001, is "Wesley Hall," a place for gathering, fellowship, and welcoming new people. Covenant is a vital church that continues to uphold the purpose it established in 1922. We carry on the rich tradition of ministry, service, and hope that has always characterized this congregation.